We’re at cat-pacity!! 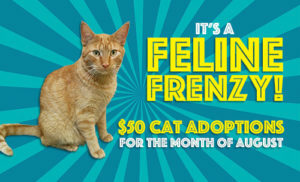 So for the month of August, it is only $50 to adopt a cat from our shelter! 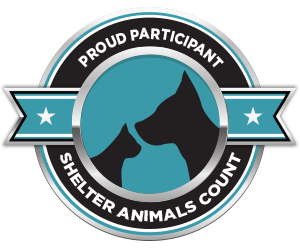 This adoption fee includes spay/neuter, rabies vaccination, distemper vaccination, flea/tick treatment, de-worming, and microchipping. We have a cat to fit every type of household! See our available cats online, apply to adopt one of our cats online, or stop in the shelter Tuesday-Saturday from noon to 6:30pm!